Sign UP for Summer Camps Today!! We have an exciting school year planned. 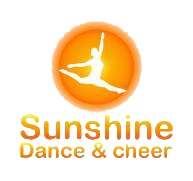 Sunshine Dance & Cheer is the newest Studio in Livermore. Our mission is to provide a fun loving class where students learn confidence, creativity and gain a appreciation for dance in a positive environment. I started dance lessons for my 3 year old daughter here almost a year ago. We love our class and the teachers here. My daughter participates in a ballet and tap combo. I edanced competitively myself for over 20 years and have been pleased with the attention to foundational skills and positions. I would definitely recommend the classes here if you are looking to start or continue dancing. Love this dance studio! Teachers really care about the kids, very professional instruction! Did two dance camps here last summer. My girls had so much fun, they just asked me today if they could do another dance camp next summer. Our twins have taken tap/ballet classes and two summer dance camps here. They love it! The teachers are great, professional and patient beyond belief! It is not so easy to handle so many little ones at the same time. But they do it with grace and ease. My girls have learned so much at Sunshine Dance and Cheer Studio. Thank you Ms. Sam and Ms. Michelle!! Sunshine Dance and Cheer is the best! My daughter has been coming to dance classes for a year now with Miss. Samantha. I would not take her to any other studio this is the best. Miss Samantha cares for her students like family. My daughter takes hip hop, ballet and ballet folkloriko. You can't find all that is offered at Sunshine anywhere else.